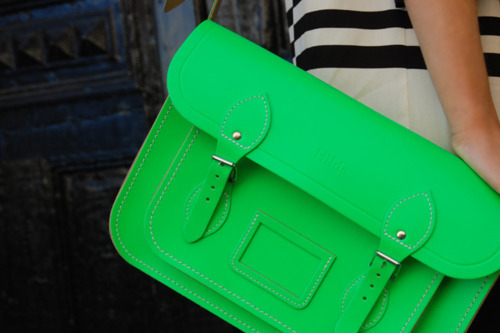 rumour has it: Green Fever! Green is gonna be this year's Spring trend. I personally love green, i don't wear it as often but i think i'll give it a shot this year. Green is considered to promote balance and since it is so prevalent in nature, it's easily the most predominant color on the planet! How funny, we are dedicating this week's blog posts on Resort Wear and shades of green! Love this post, great pics! I love all of these looks, so so chic. vou usar e abusar:) adoro! I like this green,is beautiful! 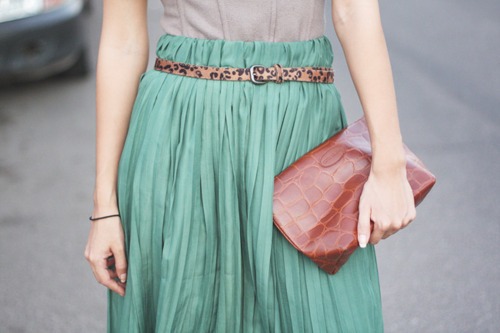 I'm not so crazy about bright lime greens but I definitely love pastel greens like in that last skirt! I agree! I love bright colors, but haven't been too into any shades of green... I would totally consider it, though! Maybe this Spring I will! Gosto imenso de verde e fiquei a gostar mais agora! !